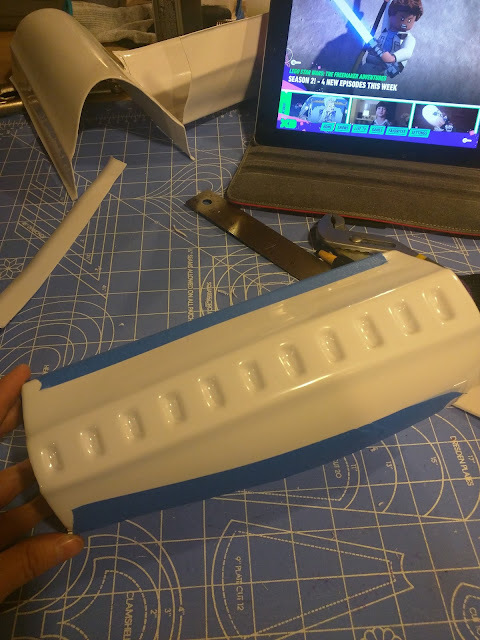 The forearm pieces seemed absolutely HUGE compared to my forearms. 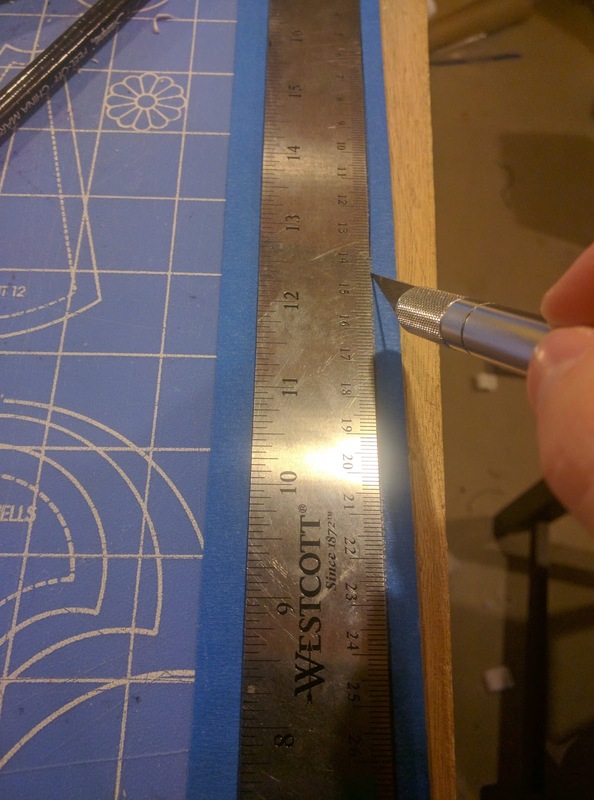 I was worried that I'd need to form new return edges, and do all kind of ridiculous things to make them fit. I was not looking forward to that. 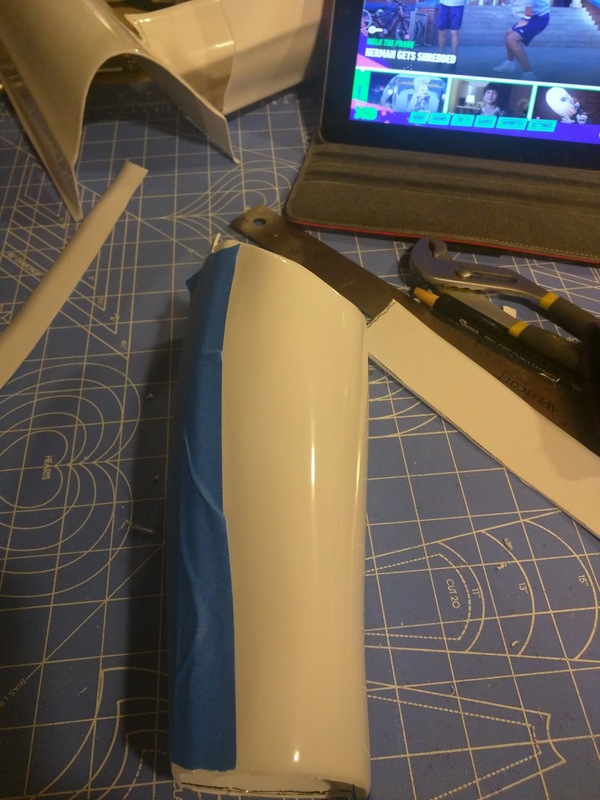 The forearm cover strips are supposed to be 15mm, so I cut strips of painter's tape at 7mm. Yeah, I got rid of half a mm. I live dangerously. 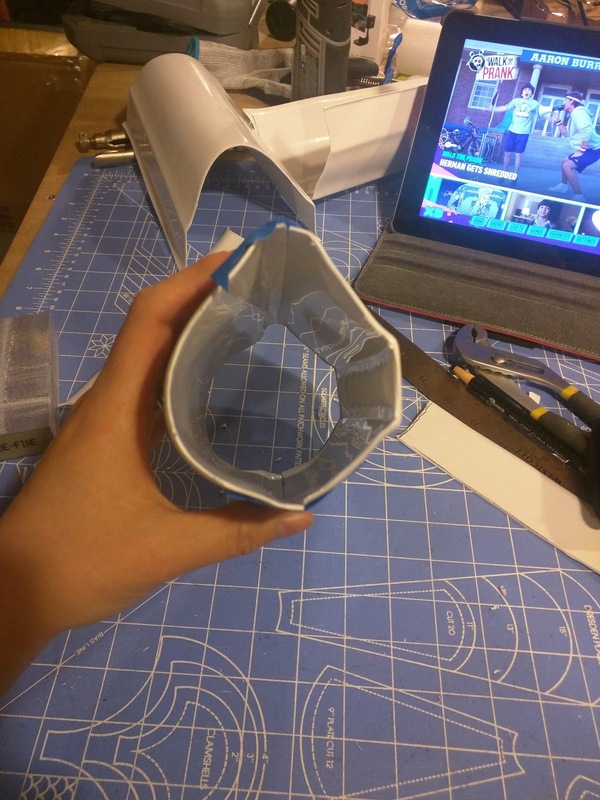 Actually, half of me thought cutting out a mm (1/2 on each side) was going to help the fit. The other half thought I would end up accidentally adding in that half a milimeter anyway. We shall see! I put the strip along the edge of the forearm, so I had a tape line exactly 7 or 7.5mm away. Probably should have gotten a picture of that. Maybe I'll remember on the right side! 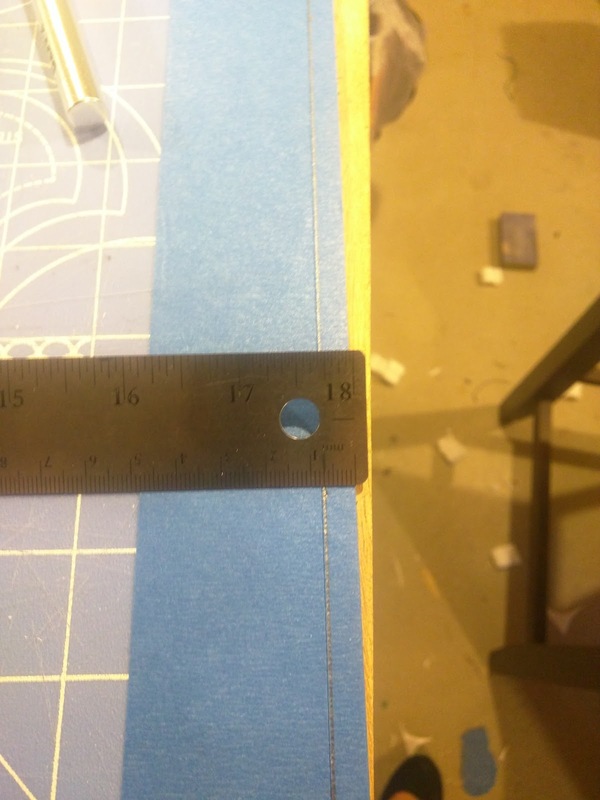 One section doesn't have a return edge. I only have two hands, so I couldn't take pictures of this in the process! 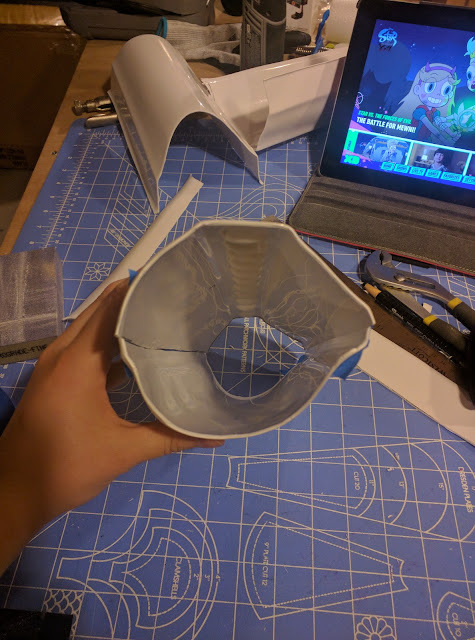 I taped the side with two return edges, and the wrapped it around my arm. I lined up the section opposite the no return edge bit (the far left and far right parts in the picture below) I made marks where I wanted the edges to meet. I was able to reach inside and mark a line by tracing along the other edge. It actually seemed like there was a hint of a line from the mold there, too! After trimming, I think they're still fairly symmetrical. 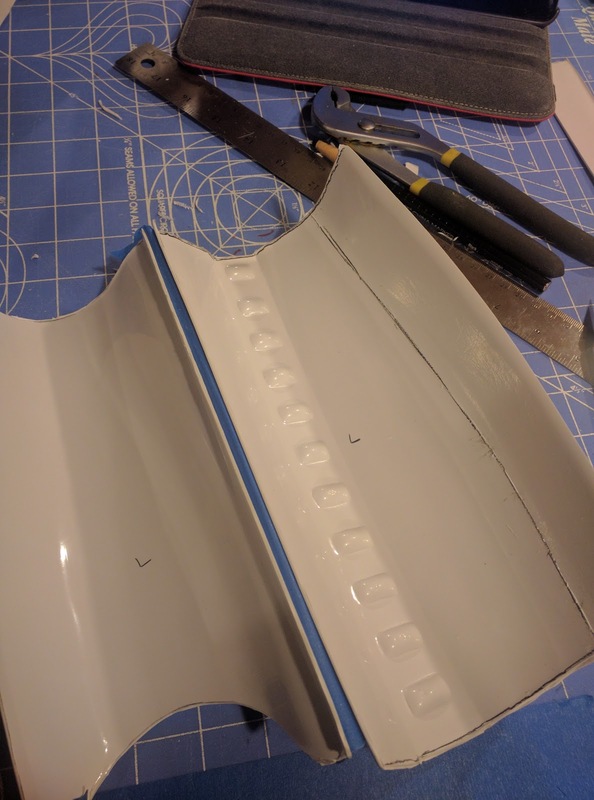 It was raining, so I couldn't go outside to start gluing with the E6000. 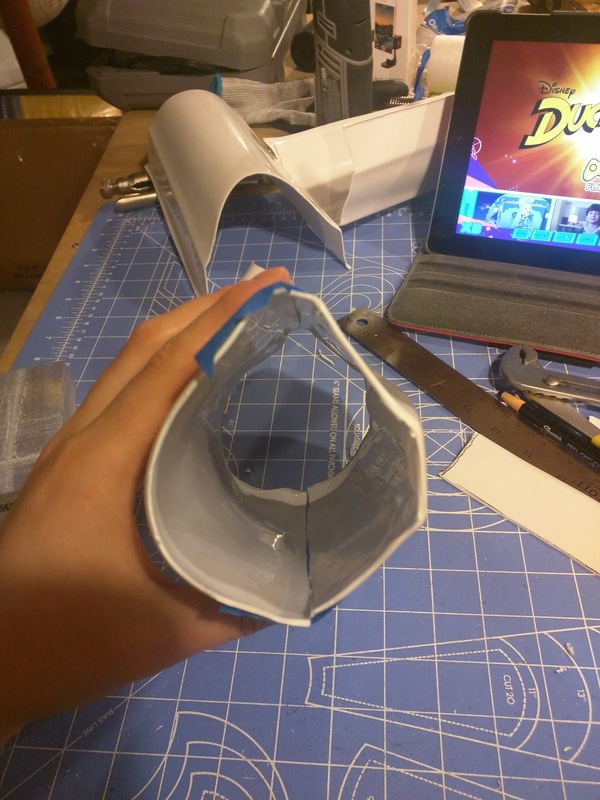 Also, moving on to the gluing stage is scary.